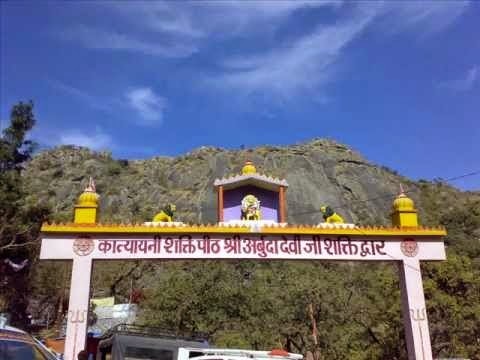 Adhar Devi (Arbuda Devi) Temple is situated in Mount Abu of Sirohi. 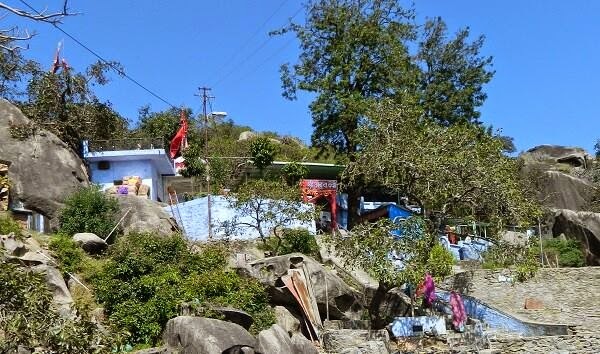 The Adhar Devi Temple is one of the popular religious themed tourist destinations in the Mount Abu region. It is situated three kilometers north of the main town of Mount Abu. The Adhar Devi Temple can be reached by climbing up 365 stairs carved into the mountain. The temple itself is located inside a rocky cleave and is reached by crawling through a small opening into the cave. The Adhar Devi Temple is dedicated to the Goddess Durga. It got its name because the legend has it that "Adhar" of the Mataji (Goddess deity) fell here, also it was believed that the image of the goddess could be found there hanging in mid air. As well as being a popular tourist destination, the Adhar Devi Temple is also a common destination for many religion pilgrimages. The Adhar Devi temple receives most pilgrims during the 9 days of the holy Navratri season.